Turkey’s population increased to 75,932,348 mil. at the end of 2014 (from 13,648,270 in 1927; 18,790,174 in 1945; 31,391,421 in 1965; and 50,664,458 in 1985), out of which 50.2 percent were male (37,532,954) and 49.8 percent female (37,191,315). The median age was 29.7 years, and 5,490,715 persons were younger than fourteen years. The annual growth rate was 1.2 percent, and the population density 97 per square kilometre. According to official statistics 88 percent of the population is literate, but only 71.4 percent of females above six years old can read and write. In 2011, half of the population was under 30 years old, 3,340,453 persons were between 65 and 74 years, fewer than a million were between 75 and 89, and fewer than 500,000 were over 90. Thus, the number of ‘inactive’ persons (above the age of 18) is less than 5 million, or 6.8 percent of the population. The massive rural migrations of recent decades have led to changes in the administrative map of the republic (consisting of seven regions) and forced demographers to adopt new area divisions to show the demographic make-up of Turkey. These new demographic regions have no administrative value in themselves, but they show the influence of new demographic trends that have appeared in the country since the 1960s. 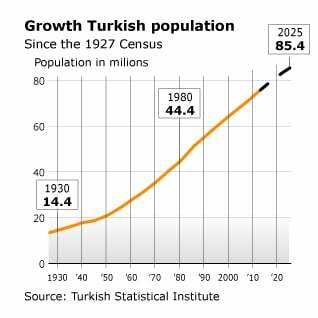 The demographic history of Turkey is complicated and critically important. Researchers have shown the extent to which a new demographic engineering, aimed at unifying the country religiously and then linguistically, was developed between the reign of Abdülhamid II (1876-1909) and the end of the Kemalist Republic in 1945. About 20 percent of the Turkish population was non-Muslim in 1914, compared to less than 1 percent today. About 40 to 50 percent of the current Turkish population is from the Balkans or the Caucasus. Because there were no questions related to the mother tongue or self-identification of people in censuses taken after 1965, observers were obliged to rely on rough estimates of the ethno-linguistic composition of Turkey. 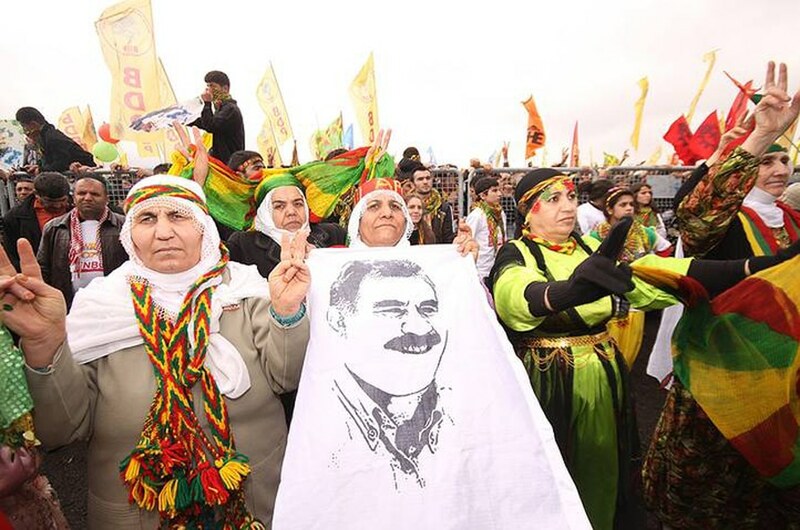 Turks constituted the overwhelming majority, about 80 percent of the total population, followed by the Kurds, who speak the Zazaki and Kurmanji languages and are estimated at 18 percent of the total population. (In 1927, the total Turkish population increased to 13,648,270, of whom 1,184,446 stated that Kurdish was their mother tongue. In 1965, this figure was 2,219,502, out of a total population of 31,391,421. The forbidding of expression of Kurdish identity, however, prevented many Kurdish speakers from admitting their mother tongue in these two censuses). Defined either as Kurdish dialects or languages by specialists, the Kurmanji and Zazaki (or Zaza or Dimli) languages also belong to the Indo-European language family. 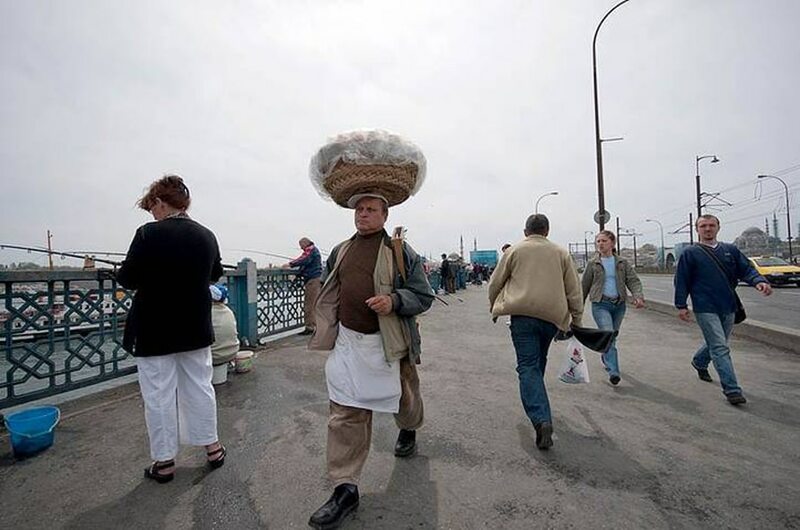 The Laz, who speak a language belonging to the North Caucasian language family and who number fewer than 200,000, live mainly on the coasts of the Black Sea. The population of Arabic speakers in the southern areas of the country (e.g., Adana, Mersin, Hatay, Mardin) has fallen considerably. Many groups – such as the Abkhaz people, the Caucasian Circassians, the Albanians, and the Bosniaks – settled in Istanbul or Anatolia as a result of the wars and population movements of the 19th and 20th centuries. They are regarded as Turks but seem to have nevertheless maintained many special features and language skills, including favouring endogamous marriages. 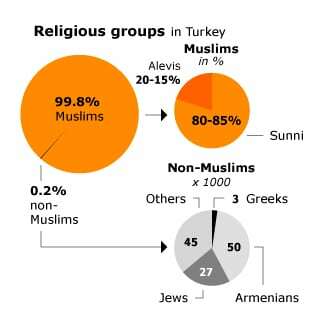 As there are no reliable data on the religious composition of Turkey, we must rely on rough estimates: Sunni Muslims constitute the overwhelming majority (about 80-85 percent of the population), while the Alevi community, which emerged as a result of religious differences in the 16th century, is the most important religious minority. However, Alevism, whose dogma is structured around a trinity consisting of Allah, Muhammad, and Ali, as well as the doctrine of wahdat al-wujud (Turkish vahdeti vücud or varlık birliği, ‘unity of existence’), is not accepted by the state, which only recognizes Sunni Islam based on the Hanafi school of law. Other minority communities include the Shiites (about 100,000 persons) and the Yazidi Kurds, who are part of the Manichaean tradition. 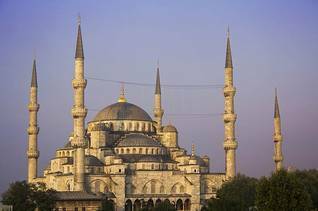 Since the early period of the Ottoman Empire, Islam in Turkey has been structured around two groups: the ulama and the religious brotherhoods. The ulama, who had the status of civil servants and belonged to the ‘military class’ (i.e., privileged ruling class that did not pay taxes), were directly integrated into the state, acting as religious men and judges, responsible for internal regulations and sanctions. The Sufi religious brotherhoods, on the other hand, did not form part of the state and enjoyed a de facto autonomy, allowing them have their tekkes and zaviyes (‘convents’), and social networks. While generally trying to avoid direct confrontation with the state’s authority, the religious brotherhoods on occasion assumed the role of political or even armed opposition. The Nakşibendi (Naqshbandi), Kadiri (Qadirya), Mevlevi (Mawlawiya), Bektaşi (Bektashi), Cerrahi (Jerrahi), and Halveti (Khalwati) communities were among the most important religious brotherhoods under the Ottoman Empire. Most of these religious brotherhoods still remain active in the Republic of Turkey. One brotherhood in particular has played an important political role from the 19th century: the Nakşibendi (Naqshbandi) brotherhood, founded by Baha-ud-din Naqshband Bukhari (1318-1389), which was radically renewed in the 19th century by a Kurdish Sheikh, Mawlana Khalid-i Baghdadi (Mevlana Halid, 1779-1827). This brotherhood obtained favours from the Ottoman Palace under the rule of Abdülhamid II (ruled 1876-1909), but formed the direct opposition under the Kemalist regime. The participation of some Kurdish Naqshbandi sheikhs in the 1925 Kurdish revolt resulted in the ban on all religious brotherhoods, but the Nakşibendis (as well as other religious brotherhoods) continue to play an underground social and political role. The İskenderpaşa Cemaati (Iskender Pasa) (Istanbul) community of Mehmed Zahid Kotku (1897-1980, led after his death by his son-in-law professor Esad Coşan, 1938-2001), constituted one of the most important social bases for right-wing parties, among them, Necmettin Erbakan’s Islamist party. Other religious communities – very different to the religious brotherhoods – such the Isikçis and Süleymancis also emerged in the 20th century. One of these communities, formed by a former Kurdish member of the Nakşibendi order, Said Nursi (1878-1960), is organized among the Turkish urban middle classes. This movement, called Nurculuk, transformed itself into one of main intellectual and political forces behind the conservative parties in the 1960s and 1970s. In the 1980s and 1990s, one of its disciples, Fethullah Gülen (born in 1941), was able to build up a large network of schools where mainly middle-class male children are educated, as well as a media network, publishing one of Turkey’s most important newspapers, Zaman. In the 1990s, Gülen was declared ‘most dangerous terrorist’ by the Turkish army, leading to his on-going exile in the United States. His movement, however, is supposed to have largely infiltrated the state’s apparatus on different levels, including among the high-ranking security milieu. There is no doubt that the Gülen movement is the main intellectual/administrative pillar of the Erdoğan government in Turkey. There are however signs indicating that the relationship between Gülen and Erdoğan is not cordial. Finally, the Christian community (several tens of thousands of Assyrians, nearly 60,000 Armenians, and fewer than 3,000 Greeks) is gradually shrinking, and there are fewer than 30,000 Jews. Although Turkey is officially a secular state, the borders that separate the ‘state’ from ‘minorities’ are primarily religious. In a tradition that dates back to the last few Ottoman decades and was legally formalized by the Treaty of Lausanne (1923, the founding act of the Republic of Turkey), Muslims are generally considered Turks regardless of their origin or language. Therefore, the Kurds (around 18 percent of the total population), whose existence is now recognized by the Turkish government, are not considered a minority and so are not entitled to any special rights, in education or administration. Furthermore, all Muslims are implicitly considered Sunnis, as Sunni Islam is the default religion of the nation. Accordingly, the Alevis and the Yazidis, who have dualistic beliefs and in some cases publicly reject Islam, have never been recognized as religious minorities. The Presidency of Religious Affairs, which reports to the Prime Minister and employs around 100,000 ‘men of God’ and controls all Muslim religious institutions, is funded by all taxpayers (including Christians and Jews) but serves only Sunnis. All claims for legal recognition by linguistic or religious minorities are still rejected by the authorities and a large part of the political class. On the other hand, since the Treaty of Lausanne, the Armenians (nearly 60,000), the Greeks (fewer than 3,000), and the Jews (fewer than 30,000) have been legally recognized as minorities and thus do not constitute a part of the Turkish nation, even though they enjoy the same civil rights. Ankara undertook, under several clauses in the treaty, to protect these minorities, but Ankara has not always fulfilled this obligation, as illustrated by the exclusion of Christians and Jews from public service in the 1920s; the anti-Semitic campaigns of 1934; the wealth tax imposed almost exclusively on Christians and Jews in 1942; and the anti-Greek pogroms of 1955 and the confiscation of the funds of the religious foundations of the Greek patriarchate. The official position of the state and of much of the political class and the media has always been hostile towards these minorities, which are considered internal enemies. Over the past fifteen years, a new school of historians, who might be described as dissidents, have been addressing the repressions that they have subject to throughout the 20th century. Jewish and Christian minorities in the country, considered second-class citizens, are victims of much discrimination, media lynching, and violence, as was the case with Hrant Dink, a world-famous Armenian intellectual assassinated in January 2007. Gypsies, known officially in Turkish as ‘Romans’, had integrated themselves well into the social structure of many cities but were nonetheless subject to discrimination for long periods. Their number is estimated at 750,000, and they live particularly in Thrace, Greater Istanbul, and the coastal towns of the Mediterranean. 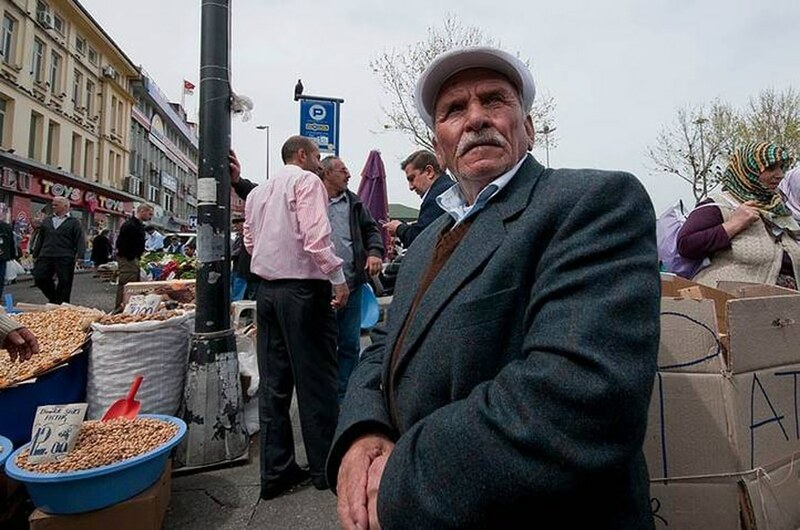 The Alevis have often been subject to discriminatory practices and speech, even though the pogroms to which they were subjected in the 1970s (especially in Çorum, Sivas, and Kahramanmaraş are now a thing of the past. There are also silent, relatively compact communities, such as the Armenian-speaking Muslims known as the Hamshinis (Hemshin people) who live in complete isolation in Artvin Province and number an estimated 40,000 people. Socio-economic data show Turkey to be a country in full transformation, which can no longer be considered a part of the Third World, but it remains a country with great contrasts. Even though the agricultural sector was dominant until the 1980s, it still employs 25.2 percent of the labour force, while the industrial sector employs 19.9 percent and the construction sector 6.3 percent. The service sector employs 48.6 percent of the labour force, with high growth predicted in coming years, reflecting the emergence of a consumer society. Although some strategically important companies – such as the highly profitable TPAO (Turkey Petroleum Corporation), EÜAŞ (the Electricity Generation Company), TOKİ (Housing Development Administration of Turkey), and petroleum refineries – are controlled by the state, most of the service sector is privately owned. There are many individual farmers and SMEs (small and medium enterprises) and SMIs (small and medium industries). 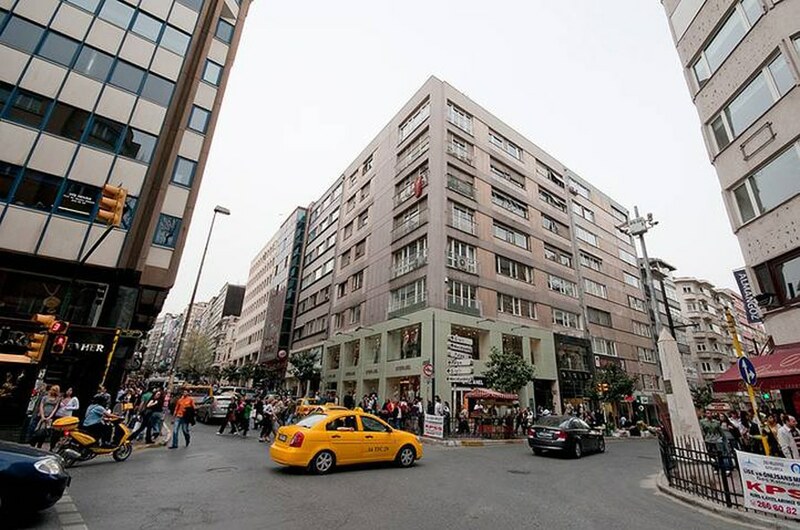 According to a report issued by the Organization for Economic Co-operation and Development (OECD) in 2004, the 1.2 million Turkish SMEs constituted 99.8 percent of enterprises and accounted for 76.7 percent of total jobs, 38 percent of financial investments, 26 percent of total value added, and 10 percent of exports. Zaman newspaper stated in 2011 that the number of SMEs and SMIs reached 3.2 million, representing 77.9 percent of jobs, 49.9 percent of investments, and 55.2 percent of value added. These figures show the resilience of SMEs/SMIs in the face of the global financial crisis and their capacity for development. From 1998 to 2010, the share of SMEs/SMIs in the GDP increased from 33.3 to 52.7 percent. The SMEs/SMIs have 746,000 employees, but their profits have increased during this period from USD 385 to around USD 8,100 per employee. These companies alone produce 54.4 percent of the exports of the country (up from 52.8 percent in 1998). Even though the ‘Anatolian Tigers’ – provincial industrialists and businessmen – are a dynamic group, they are still far from able to compete with the bourgeoisie of Istanbul, which is organized through holding companies. Although there are many links between the provinces and the economic capital, the Turkish business world is typically divided between the bourgeoisie of Istanbul, united under TÜSİAD (the Turkish Industry and Business Association), and the bourgeoisie of Anatolia (e.g., in Kayseri, Gaziantep, Samsun, Kahramanmaraş, and Malatya), organized in the form of local associations or under the banner of MÜSİAD (the Independent Industrialists’ and Businessmen’s Association). Following the severe financial crisis of the early 2000s, Turkey witnessed a continuous growth, which has, however, fluctuated in succeeding years (8.5 percent in 2011 and an estimated 5.6 percent in 2012). The unemployment rate was 10.4 percent in February 2012 (12.8 percent in non-agricultural sectors, and 18.3 percent in the young population). Sixty percent of the labour force lacks the necessary qualifications, exposing many employees to the risk of losing their jobs in case of financial crisis. Despite the generally positive macroeconomic data, the strong deficit in external trade (USD 71.6 billion in 2010 and USD 105.8 billion in 2011), which can be partially explained by the spread of consumption in credit, is a structural problem that weakens the economy as a whole. 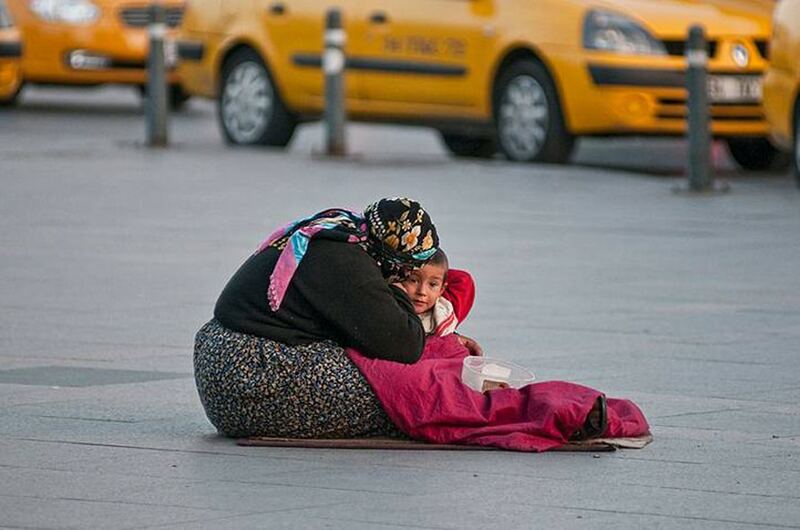 Around 16.9 percent of Turks live under the poverty line, which was set in 2012 at an annual income of USD 1,770 (3,171 Turkish lira) per household of four, and 22.7 percent of the labour force is considered ‘at risk’, that is, they do not have personal resources that enable them to face unexpected situations. GDP and per capita income are high – USD 1,115,944,000,000 and USD 15,340 respectively, according to the World Bank estimates, ranking Turkey 17th among the global economic powers – but structural disparities are obvious: the top 20 percent of the population earns 46.4 percent of the income, whereas the poorest 20 percent earns only 5.8 percent. There are also large differences among regions: the per capita income is USD 33,620 in Kocaeli, a prosperous industrial city, but only USD 4,118 in Ağrı, 2,742 in Muş, and 2595 in Şırnak, three cities in Kurdistan. 43.7 percent of income is from wages, 20.5 percent from pensions and welfare, and only 20.2 percent from the profits of private initiatives. This strong dependence on non-sustainable external sources puts a large part of the population in a precarious position. The events of the late 1970s and the period between 1994 and 2001 showed that no employees or recipients of pensions and welfare were capable of facing major crises, resulting in impoverishment. It was disturbing to see Yazidi refugees from Iraq being sent back in August 2014 from Turkey into Iraq by the Turkish border police. The refugees were clearly visible from a road close to the border. They were wearing colourful clothes and were thus easily visible against the background of green trees in the valley, through which ran the river that they had just forded to cross into Turkey. In Turkey, villagers were ready to offer the refugees blankets, bread and water. They booed the border police from a distance when they saw how the group was approached by men in uniform and guided to wade back through the river once again. The scene unfolded close to Habur, the official border crossing between Iraq and Turkey. Habur is on the road that connects Zakho, in Iraqi Kurdistan, to Silopi in Turkey. The refugees decided to try to get into Turkey illegally because of the Turkish government’s policy on Habur: only refugees with a passport could cross the border there. Since most of the people had no passport, there was no other option but to cross rivers, fields and mountains. Most refugees chose the mountains and crossed the border in the Uludere district, in Sirnak Province, using the same illegal border crossing where the Uludere massacre took place in late December 2011, in which 34 Kurdish smugglers were killed by bombs from Turkish fighter jets. One of the major problems faced by Iraqi refugees in Turkey originates from this policy of allowing in only those who have passports: families were torn apart. People were so afraid of what the Islamic State had in store for them that breaking up the family seemed preferable to staying together in Iraq. Some even felt forced to leave their young children behind with relatives because they hadn’t yet been able to obtain passports for them. It was not only the advance of the Islamic State that frightened the Yazidis—Kurds with an ancient religion who are considered ‘devil worshippers’ by the Islamic State—but also the fact that their town, Sinjar, and surrounding villages were left unprotected by the armed forces of Iraqi Kurdistan, the peshmerga. Yazidi refugees who could not get into Turkey were mostly stranded in the Iraqi Kurdistan towns of Zakho and Duhok. The local population was ready to help with the most basic needs, such as blankets, food and water, but shelter was a serious problem. The Kurdistan Regional Government (KRG) is dealing with a huge influx of refugees from other parts of Iraq, some 1.4 million people in all. The government’s budget is not sufficient to care for all of these people properly. This lack of funds is due also to a conflict with the central Iraqi government in Baghdad, which is not sending the KRG in Erbil the 17% of Iraqi oil revenues to which it is entitled. Many refugees in Zakho and Duhok were thus forced to stay on the streets, under bridges and in empty buildings, not properly protected against the scorching summer heat. With winter coming, the situation will deteriorate even further. The Turkish Disaster and Emergency Management Directorate (AFAD) tries to help and has built two camps for the Yazidis in Iraqi Kurdistan. It is estimated that there are 250,000 Yazidi refugees in Zakho and Duhok. Altogether, more than a million internally displaced persons and refugees are have taken refuge in Iraqi Kurdistan. The internally displaced are mostly from Nineveh province, including not only Yazidis but also inhabitants of Mosul, the city taken over by the Islamic State in June 2014, and smaller refugee groups, such as the Shabak ethno-religious minority and groups of Christians. The refugees are from Syria, including Syrian Kurdistan. 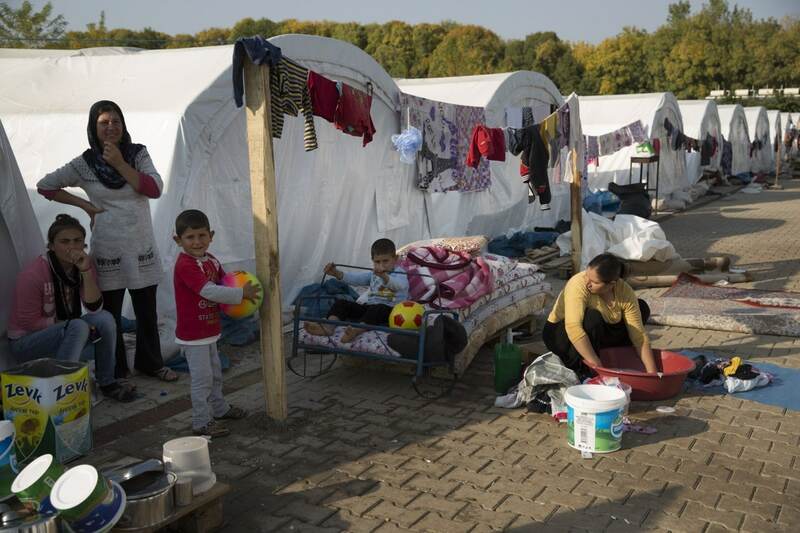 An estimated 35,000 Iraqi citizens have fled to Turkey, 99 percent of whom are Yazidis. There is a substantial difference between these refugees and those who came to Turkey from Syria: the Syrian refugees, numbering around 2 million (figure based on local estimates) are subject to the Temporary Protection Directive, while those from Iraq are not. This directive was passed by the Turkish parliament in October 2014 and has yet to be implemented. It gives the Syrian refugees, among other things, a firm legal status, the right to stay in Turkey, and access to health care and provides for an identity card that facilitates entrance to state schools and the labour market. The directive was preceded by several ministerial circulars dealing with Syrian refugees. The Iraqi refugees began coming to Turkey only in the summer of 2014, and it remains to be seen if and how fast a similar arrangement will be made for them. The Iraqi refugees are not, however, totally without rights. They can, for example, register and receive a document that gives them access to free healthcare. On the other hand, according to the law, the refugees can get in trouble because they crossed the border illegally and are staying in Turkey without permission; this causes the refugees to feel insecure and fear being sent back to Iraq. Some 2,000 to 2,500 Yezidi refugees are in a state-run refugee camp near the town of Midyat, in the south-eastern Turkish province of Mardin. This camp was set up about three years ago to host Arab refugees from Syria. Because the camp can provide shelter for 7,000 people and about 5,000 Syrians were sheltered there, the remaining space was given to Yazidis. The remaining 35,000 Yazidis are supported by municipalities, often administered by the Kurdish DBP (Democratic Regions Party), and by the local population. The problem is that the municipalities don’t have adequate funds to provide sufficient aid to all the refugees. This becomes more problematic as winter sets in and the tents the people are housed in don’t provide adequate shelter from the increasingly harsh conditions. A large majority of the Yazidi refugees have no intention of returning to their homes in Iraq, even if the situation stabilizes in the future. Many tell stories of their Arab neighbours conspiring with the Islamic State and looting Yazidi houses as soon as the Yazidis left. They feel they will never be safe again in their ancestral lands, and many want to resettle in Europe. Some have already attempted the journey from Turkey to Europe, and the first news stories about Yazidis drowning in the Mediterranean have already appeared.